Flip a coin. 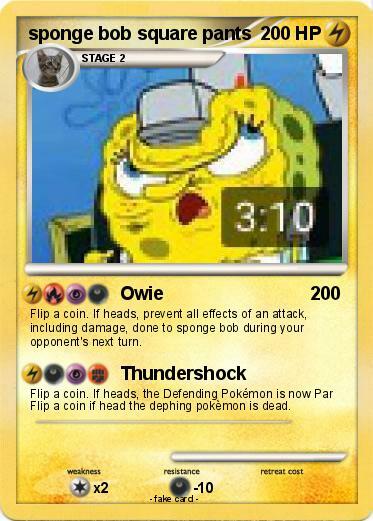 If heads, prevent all effects of an attack, including damage, done to sponge bob during your opponent's next turn. Flip a coin. If heads, the Defending Pokémon is now Par Flip a coin if head the dephing pokèmon is dead.